Below you'll find a short bio of each of the members of the Anderson lab. Chair of the Integrated Mathematical Oncology (IMO) department and Senior member at Moffitt Cancer Center. Dr. Anderson performed his doctoral work on hybrid mathematical models of nematode movement in heterogeneous environments at the Scottish Crop Research Institute in Dundee, UK. His postdoctoral work was on hybrid models of tumor-induced angiogenesis with Prof. Mark Chaplain at Bath University, UK. He moved back to Dundee in 1996 where he worked for the next 12 years on developing mathematical models of many different aspects of tumor progression and treatment, including anti-angiogenesis, radiotherapy, tumor invasion, evolution of aggressive phenotypes and the role of the microenvironment. He is widely recognized as one of only a handful of mathematical oncologists that develop truly integrative models that directly impact upon biological experimentation. His pioneering work using evolutionary hybrid cellular automata models has led to new insights into the role of the tumor microenvironment in driving tumor progression. Due to his belief in the crucial role of mathematical models in cancer research he moved his group to the Moffitt Cancer Center in 2008 to establish the Integrated Mathematical Oncology department. Mark is an Applied Research Scientist interested in tumor-immune interactions, phenotypic heterogeneity and selection, and cellular metabolism. He completed his doctoral work at the University of Arizona with Alain Goriely and Ardith El-Kareh, building a model of T-cell response to tumors subject to immunosuppression. His undergraduate work was in physics, mathematics, and astronomy. He joined the IMO department because of the rich opportunity for interdisciplinary work in oncology, and is eager to establish working relationships with colleagues in the experimental and clinical environments at Moffitt. Current projects include studying the effects of immunotherapies in lung cancer, understanding the genotype-to-metaphenotype map, and theoretical investigation of the evolution of T-cell receptor properties. 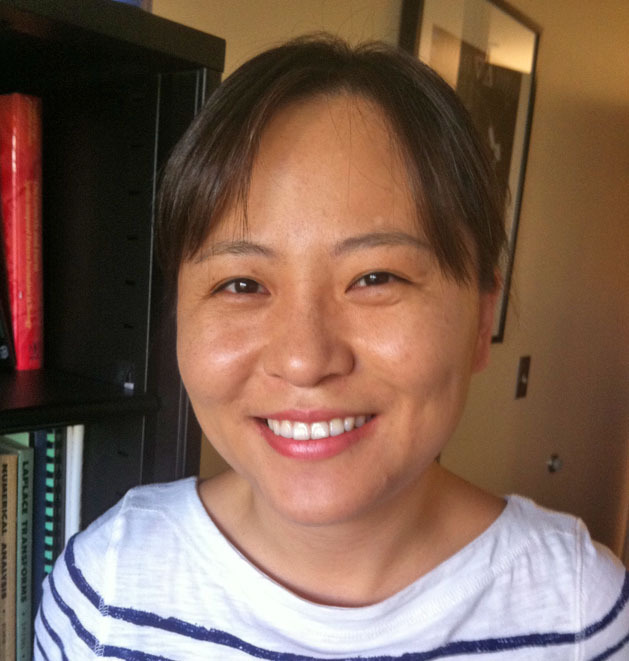 Eunjung is an Applied Research Scientist interested in cancer-stroma interactions, cell signaling heterogeneity, as well as mathematical model driven clinical trials (phase i (imaginary) trials). She received a PhD in applied mathematics at North Carolina State University, building mathematical models of cell-matrix interaction in articular cartilage under her PhD advisor Mansoor Haider. Her undergraduate and master degree work were mathematics and linear optimization. Thanks to excellent team science environment at Moffitt, she has built several integrated models that not only reproduce experimental/clinical data but also make predictions successfully tested in experiments. Current projects include developing a mathematical framework for personalized adaptive therapy in melanomas and studying the effects of spatial heterogeneity on cell signaling and drug resistance to kinase inhibitors. Jill is a Research Scientist who joined the lab in December 2010. She has an B.S. in physics from the University of Missouri and a Ph. 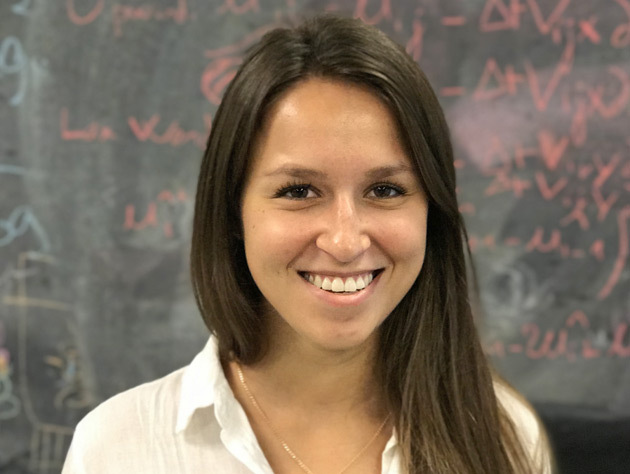 D. in biomedical physics from East Carolina University, where she worked with Martin Bier with developing mathematical models involving the cell membrane, ion traffic, and lipid thermodynamics. 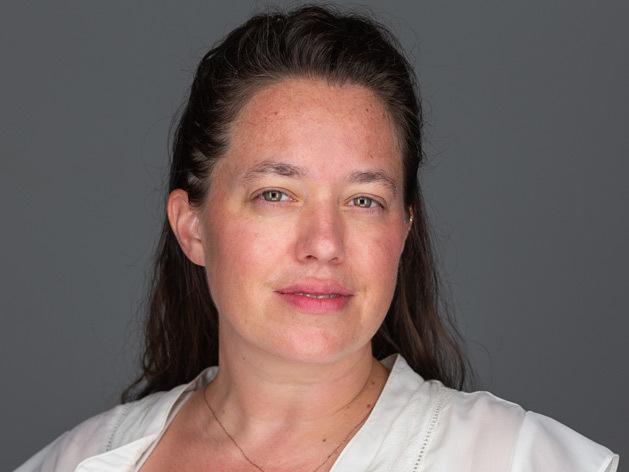 At the IMO, Jill is interested in quantifying tumor heterogeneity and its effect on treatment response, using evolutionary principles to guide treatment schedules, and integrating clinical data into models. She is specifically focused on improving treatment strategies and adaptive therapies in brain cancer and metastatic castrate resistant prostate cancer using spatial agent-based and multiscale models. Chandler received his Masters is Biological Anthropology at the University of Utah, followed by a Ph.D in Biology at the University of Louisville. 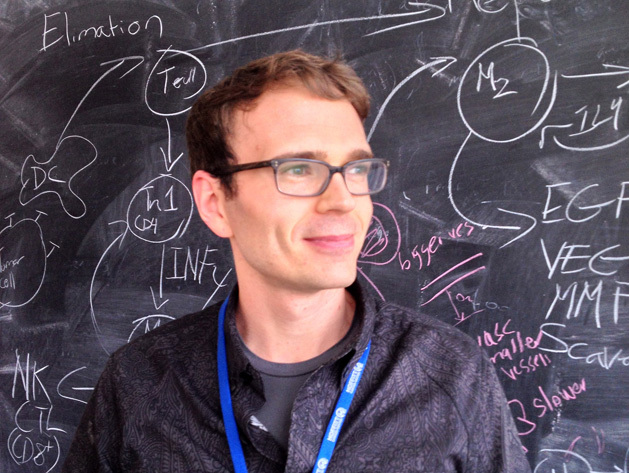 He is a Research Scientist whose work is focused on tumor-immune eco-evolutionary dynamics. 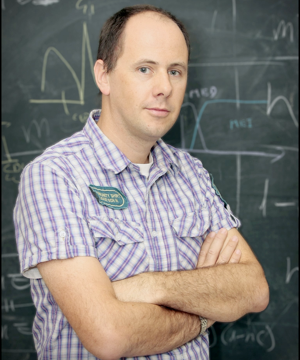 He uses population models, agent based models, and evolutionary game theory to study how tumors evolve the ability to escape immune predation, and the subsequent treatment implications. This is complemented by the development of tools to process and analyze histology. Ecological analyses can be conducted on the data collected by these tools, and the findings can be used to inform and verify modeling decisions and predictions, respectively. It is hoped that the integration of modeling and data will produce actionable insights that can be used treat, and ideally prevent, cancer. Jeffrey is a postdoc who joined the lab in August 2017. Trained as an engineer with a B.S. 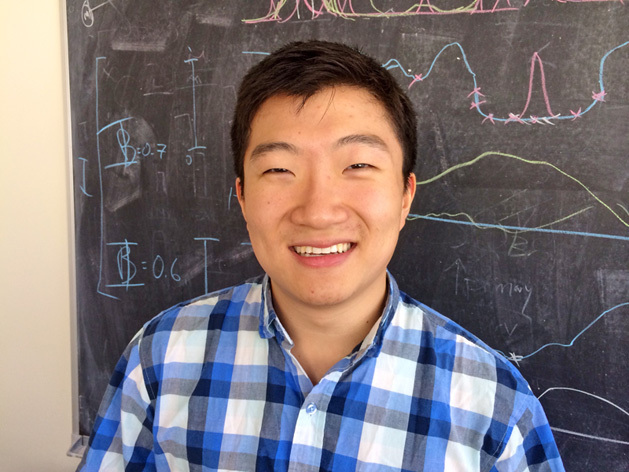 from Ohio Northern University, he continued to study dynamical systems under his PhD advisor Paul Newton at the University of Southern California. At Moffitt his research focuses are two-fold: 1) developing clinically-relevant mathematical models of multiple drug adaptive therapies and 2) better understanding the impact of spatial competition in tumor heterogeneity. He also enjoys investing in community outreach for the field of mathematical oncology by publishing a weekly email newsletter which you can sign up for here: http://mathematical-oncology.org/. Derek joined the lab in October 2013 with an interest in applying evolutionary principles with mathematical models to cancer. Since then, he has started a D. Phil. in Zoology at Oxford University jointly supervised by me, Philip Maini and Mike Bonsall. His work seeks to understand tumor and immune dynamics through an ecological lens in response to chemotherapy. One area of his work looks at repopulation dynamics after bone marrow transplant and whether mutational variation in donor samples could later lead to relapse in patients. Another area looks at how to optimally dose chemotherapy in order to maximize antitumor T cell responses. In these domains he has employed a variety of techniques from spatial models of stem cell niches to reincforcement machine learning of clinical decision making. Casey joined the lab in September 2015 as a research trainee (though she previously completed two summers here as a SPARK intern) and is excited to work under the guidance of Mark Robertson-Tessi in an effort to understand the role of metabolism in immune resistance both experimentally and theoretically. In May 2015, she received her Bachelor of Science from Rensselaer Polytechnic Institute with a dual major in math and biology. 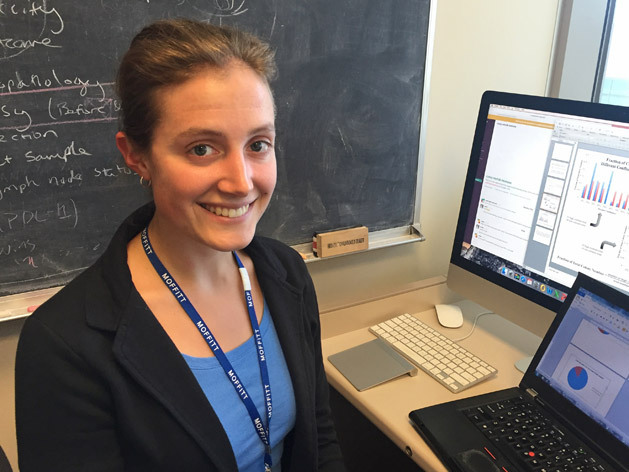 She enjoys cell culture along with mathematical modeling, and plans to pursue a PhD as well as a career doing both. She is delighted to have the opportunity to work in a multi-disciplinary institute and learn from everyone at Moffitt and the IMO! 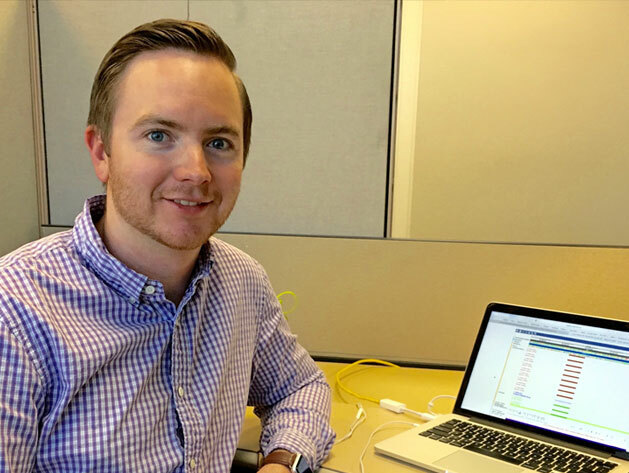 Ryan joined the lab in March 2016 as a research intern while he completed his Master of Science degree in the Bioinformatics and Computational Biology program at the University of South Florida’s College of Medicine. Upon graduation in August of 2016 he transitioned to a Research Associate with the lab before pursuing a D.Phil (PhD) at the University of Oxford’s Wellcome Centre for Human Genetics. Broadly, Ryan is working to integrate bioinformatic and computational biology techniques in genetics into theoretical. Ryan is co-advised by Simon Leedham and me, which provides a perfect blend of expertise to unravel the evolutionary dynamics of the epithelium given the underlying microenvironmental pressures. Ryan is passionate about using this knowledge and interdisciplinary approach to better understand homeostasis, across many systems, as a means to understand cancer development and treatment options. 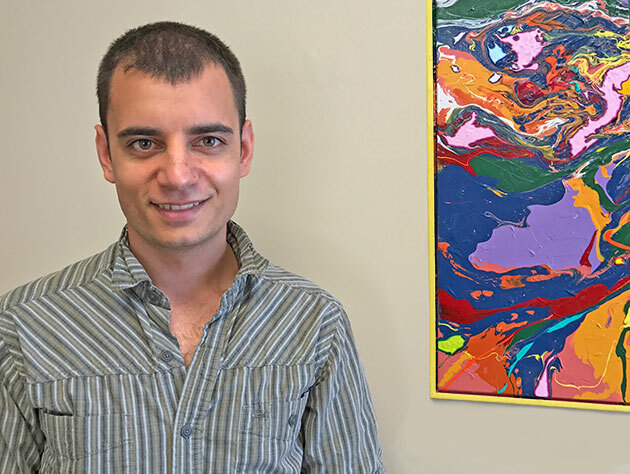 Rafael joined the lab as a Research Associate in September 2016. 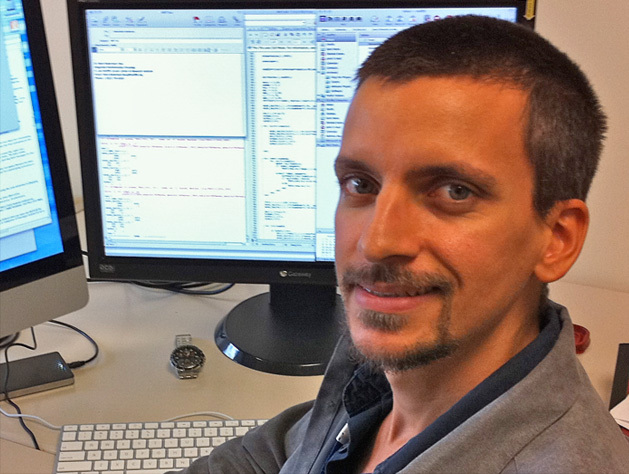 His focus is on designing efficient agent based models for biological research. As an undergraduate (Rutgers NB) he worked with David Axelrod on developing an agent based model of early progression of colon cancer. His Computer Science Master's thesis, mentored by Jefferey Schank, (UC Davis) explored the effects of added complexity on the evolution of an artificial life ecosystem. At the IMO, Rafael is working on creating a generalized framework to accelerate model development and unify several projects. He plans to continue collaborating and using his modeling skills to study cancer. Maxi is a PhD student interested in using mathematical models to support clinical decision making for cancer treatment scheduling. He is part of the Systems Approaches in Biomedical Science Doctoral Training Centre at the University of Oxford, UK, and is jointly supervised by me and Philip Maini. In a current collaboration with Dr Mehdi Damaghi he is exploring if treatment guided by mathematical models of the tumour ecology can prolong time to resistance against PARP inhibitors in ovarian cancer. Previously, Maxi completed his undergraduate degree in Mathematics at the University of St Andrews and a Masters degree in Mathematical Modeling at the University of Oxford. 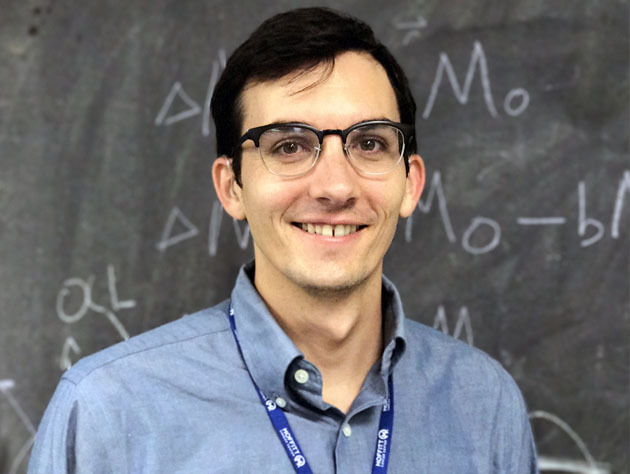 During his PhD, Maxi is aims to learn more about the extent to which easily personalizable, but spatially ignorant, ordinary differential equation models can be used to guide treatment, and where more knowledge of tumour’s spatial architecture will be required. 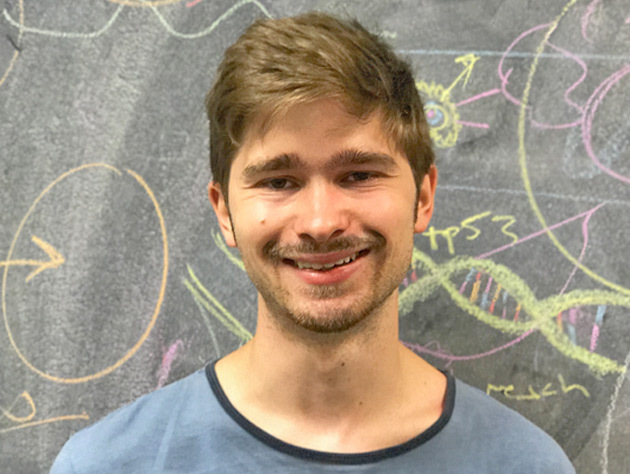 With his PhD work Maxi hopes to contribute to the ongoing development of a clinical trial of adaptive therapy in ovarian cancer.In addition, he has an interest in cancer immunology and is involved in a collaboration with the Conejo-Garcia lab on elucidating the role of tissue resident memory T-cells in tumors. Sasha is a DPhil student from the University of Oxford and has joined the lab in July 2017 to work on the short rotation project as part of Systems Approaches in Biomedical Science Doctoral Training Centre program. Sasha is interested in understanding the influence of variations in blood flow on tumour structure, evolution, and adaptive strategies of cancer cells in changing environments. Her work is jointly supervised by Philip Maini, Robert Gatenby and Alexander Anderson. In 2016 Sasha graduated with a degree in astrophysics from the University of St Andrews, UK, where she modelled the influence of lightning events on the atmospheres of planets supervised by Dr. Christiane Helling. At IMO, Sasha is interested in learning the biology behind the cancer from multidisciplinary perspective, utilising the agent-based framework to model metabolic phenoypte variations, and, ulitmately ,use the model as a guide for in vitro experiments. Copyright © 2019 Alexander R. A. Anderson. All rights reserved.